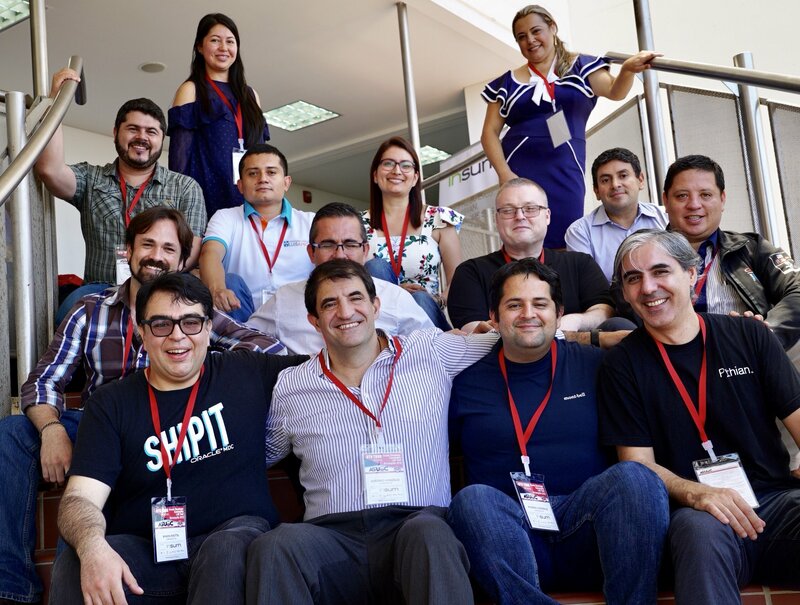 ODC Latin America Tour : It’s a Wrap! 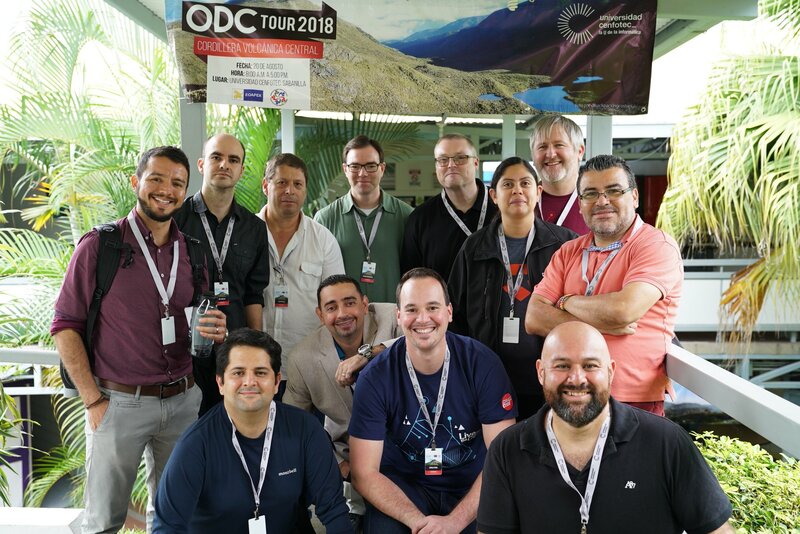 The ODC Latin America Tour (Northern Leg) is now over for me. I still can’t really believe I get invited to these tours and actually do them. I’m simultaneously excited and terrified by these tours. I have to admit I hate the travelling, but I love meeting people around the world who share a mutual interest. Give me an opportunity to geek out and I’m all over it. After the year I’ve had so far (see here) I was more nervous about this tour than any previous one. My nightmare seemed to be coming true when I needed medical attention on the plane in Quito, but after that glitch it went really well, and I’m glad I didn’t chicken out! Thanks to all the individual user groups for inviting me and making me welcome in your country. Thank to all the attendees for coming along and supporting the events. Meeting all of you is the best bit of doing this. Thanks as always to the Oracle ACE Program and Oracle Developer Champion program for making this possible for me, without ever expecting anything from me other than contributing to the community. The posts that I put out related to this tour are listed here. 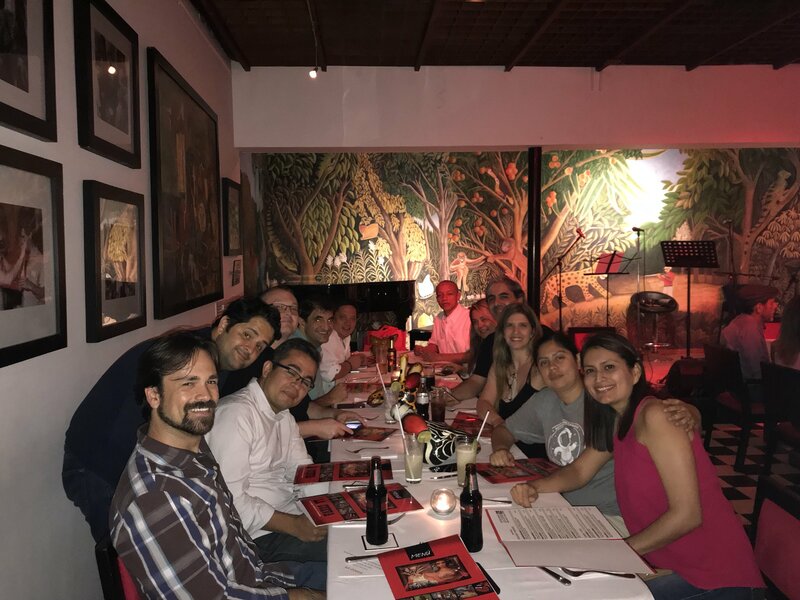 Author Tim...Posted on August 26, 2018 August 26, 2018 Categories OracleTags #ODevCTour, 2018, @dev_champions, @oracleace, @OracleDevs, @OracleDevsLA, Latin America, ODC, Oracle3 Comments on ODC Latin America Tour : It’s a Wrap! 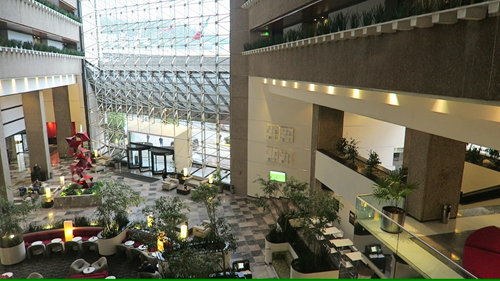 Unlike the previous events, I had to leave the Mexico event and go straight to the airport for my flight home, so once I finished my last talk I said my goodbyes and headed for the airport. Just as I ordered my Uber the sky opened and it started to rain like crazy. I stood in the doorway of the university until the last moment, then made a dash for the car. I didn’t get too wet. 🙂 The journey to the airport took about 90 minutes. The traffic was really busy, what with the early Friday rush hour and the intermittent torrential rain. 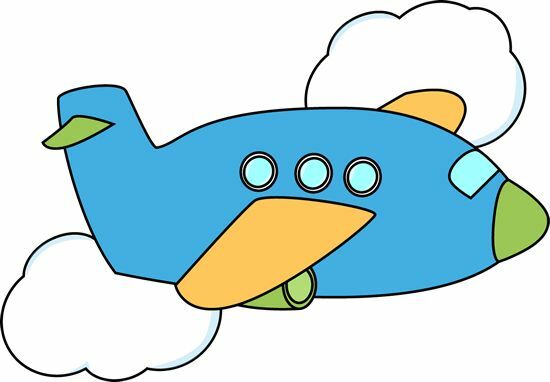 The flight from Mexico to Amsterdam was was originally down as an 11 hour flight, but it was delayed by about 90 minutes. When we got on the plane they said the flight time would be about 9.5 hours, so I guess they were getting their skates on to try and play catch up. As it happened, I don’t think we saved that much time. I managed to catch the last 15 minutes of Rampage, which I had missed on the previous flight. As I said before, it’s stupid, but fun. I watched Ready Player One, which was OK. After that I fell asleep and woke up feeling a little annoyed that I hadn’t slept, only to find I had slept for about 6 hours. You gotta love business class seats. I caught all but the last scene of A Quiet Place, but the guy next to me was further into the film than me, so I was multitasking to get through the whole film. If you watch the film you will know that not having sound is not a problem for this film. It was really good! We landed in Amsterdam and I had about -10 minutes to get to my next flight, but fortunately it was delayed too, so I had time to walk to the gate and chill a bit before the next flight. Some flights had been cancelled, so I was a little nervous mine would get the chop too, but it was all good. I got on the plane, changed my smelly t-shirt and did the 50 minute flight home. The order of events now is washing, bath and bed. I start back to work on Tuesday, so I’ve got a couple of days to recover. I woke up today feeling super-nervous. It wasn’t the event making me nervous, but the day in general. Doing the Mexico City event, then having to going straight to the airport to fly home. Once I had checked out of the hotel I got an Uber to the venue and met up with everyone and got a few photos. 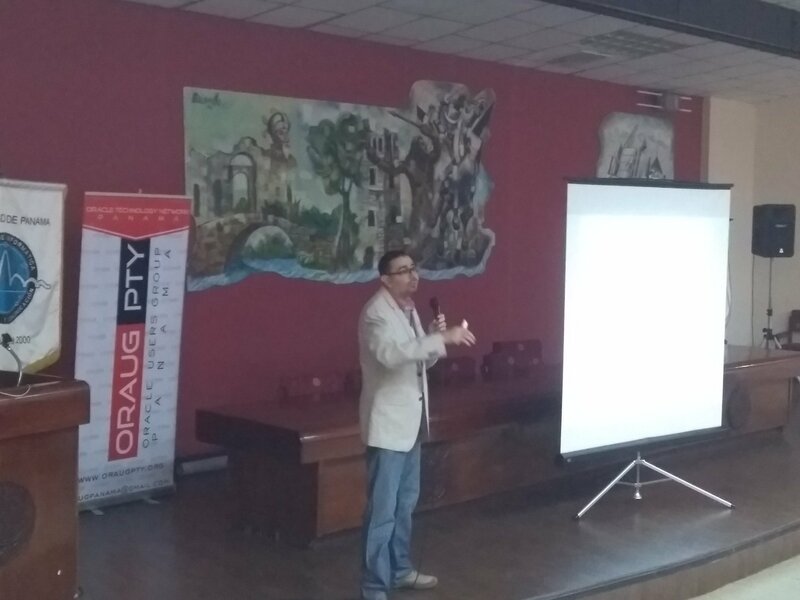 There were the normal introductions to the event and the introduction to the Oracle Developer Community by Pablo, then the sessions began. My second session was Make the RDBMS relevant again with RESTful web services and JSON. I had a full room again and a got a few laughs, so I think it went well. 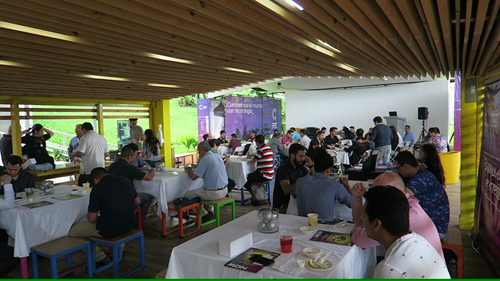 Thanks to everyone in Mexico for inviting me to the event and letting me geek-out with you all. I’m sorry my stay at the event, and in Mexico was rather brief. I hope to see you all again soon! After the previous late night I was dreading the morning, but actually everything was OK. I woke up in plenty of time and felt fine. Pretty soon I got a message from Gerald saying he was down stairs waiting for me, and we got an Uber to the airport. We are both, “better early than late”, people when it comes to airports, so we arrived in plenty of time. Bag drop and security were fine, and with one little detour we quickly found ourselves having a drink and some breakfast, waiting for our flight. The flight from Panama City to Mexico City was a little under 4 hours, but we taxied for what felt like forever before takeoff and after landing. It almost felt like we drove there. I watched a film called Morgan, which was sort-of about AI and quite predictable, but not bad. I also watched almost all of Rampage, which I thought was stupid, but fun. Anything with The Rock in makes me smile. Bags in hand, Gerald let me piggy-back on his phone signal so I could order an Uber to my hotel. Initially the traffic was really heavy, but it soon opened up. I think it was about 45 minutes to my hotel. The event started in a single room, then split later. The majority of the audience were students, so it meant a bit of a rethink of the content of the talks. 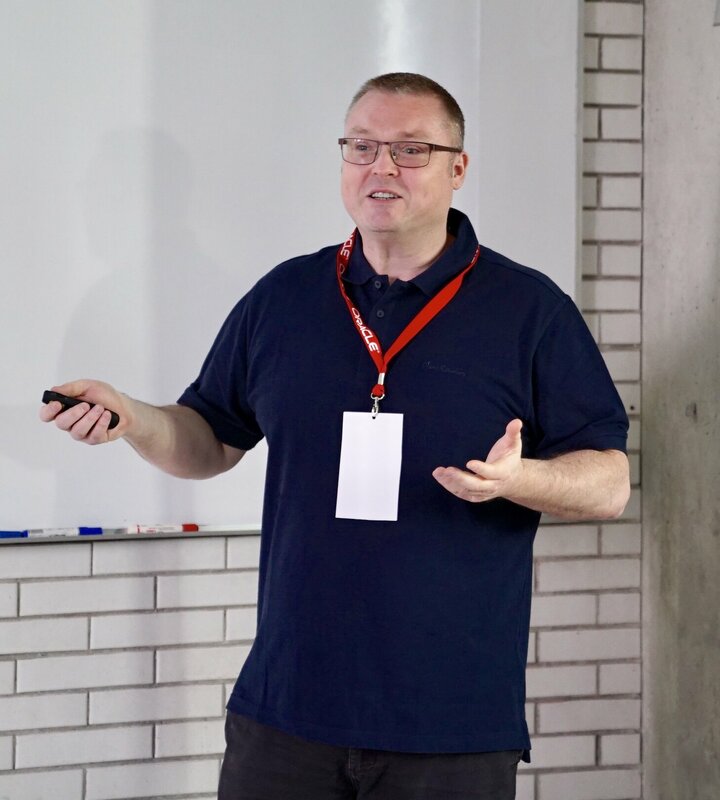 I arrived in time to see Markus Michalewicz doing his session on Maximum Availability Architecture (MAA). It’s quite a specific topic, but I think he did a good job of making it more accessible to the students. 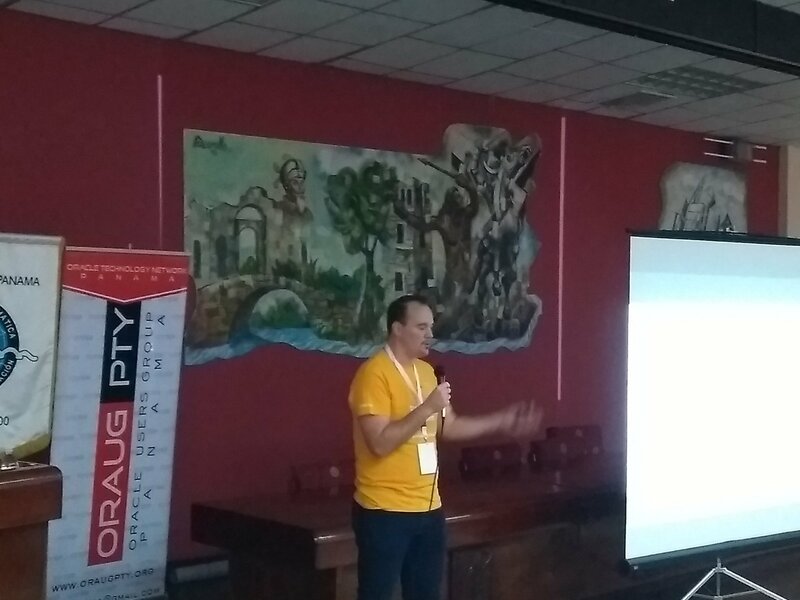 After lunch I went to see Markus Michalewicz speaking about Oracle RAC in the cloud, which was followed by my session called Make the RDBMS relevant again with RESTful web services and JSON. 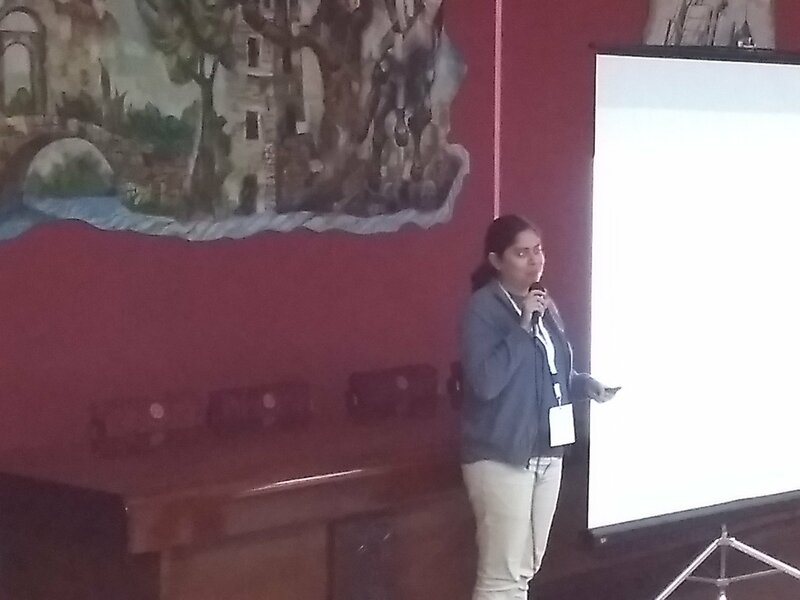 Both of the next sessions were in Spanish, so I watched a bit of Ricardo Gonzalez presenting about ACFS and Mercedes Wyss presenting about serverless and microservices. 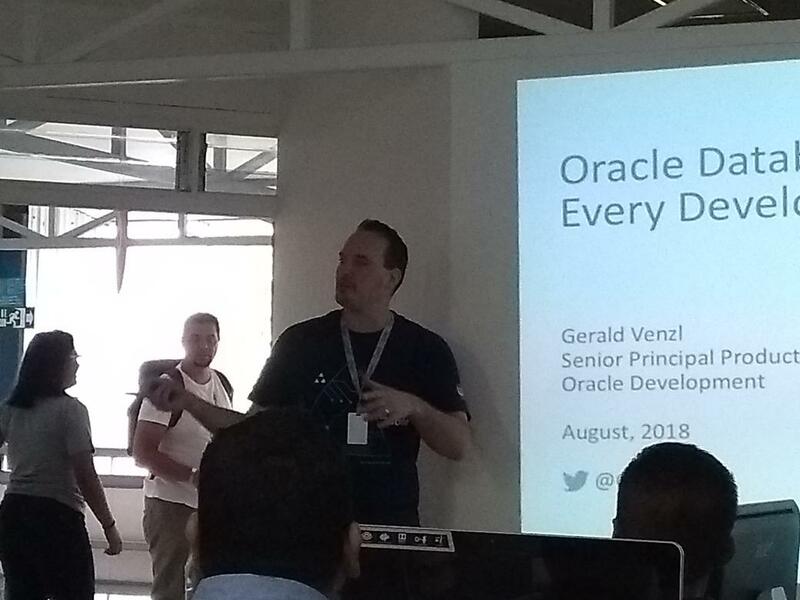 After that it was me with Cool New Features for Developers in 18c and 12c, followed by Gerald Venzl with “Oracle Database features every developer should know about!”. I think these two sessions go together quite well. Gerald then followed his session up with his Docker session. A really loud lorry went past the hotel at about 04:00 and woke me up, so sleep was a little fitful after that. My flight was scheduled for 12:44, so being there 2 hours before the flight, with a potential 1 hour drive to the airport meant leaving the hotel at 09:44, which was a pretty reasonable time. The taxi ride went well. There were a couple of moments where I started to believe we might never move again, but they quickly past. Such is the mental state of a nervous traveller, who turns the slightest delay an opportunity for drama. The airport was quite busy, but there weren’t really any hold-ups, so I got to the boarding gate with 2 hours to spare. There were some really loud and annoying people at my boarding gate, but before I was forced to go on a killing spree, my gate was changed and they didn’t follow on to the new boarding gate. The new gate had much better air conditioning and I had power, so great all round really. I got to the hotel and was given a free upgrade. I don’t have status or anything like that, but it’s booked under Oracle, so they sometimes do that sort of thing. Of course, if you are the wife, you get upgrades to a villa with helicopter pad, but I’m not as important as her. Anyway, I walked into the room and the curtains were drawn, which I thought was a bit odd. I opened them and literally said, “Wow!”, out loud. My view is bloody amazing. I’ve tried to take photos of it, but they look rubbish because I’m terrible with a camera, but it is a seriously impressive view. It’s really hard to pull your eyes away from it. I met up with Ricardo, Markus and Gerald to go out and get some food. On the way we were discussing how each of us got into the technology industry, and none of us had what I would consider a conventional entry into this game. 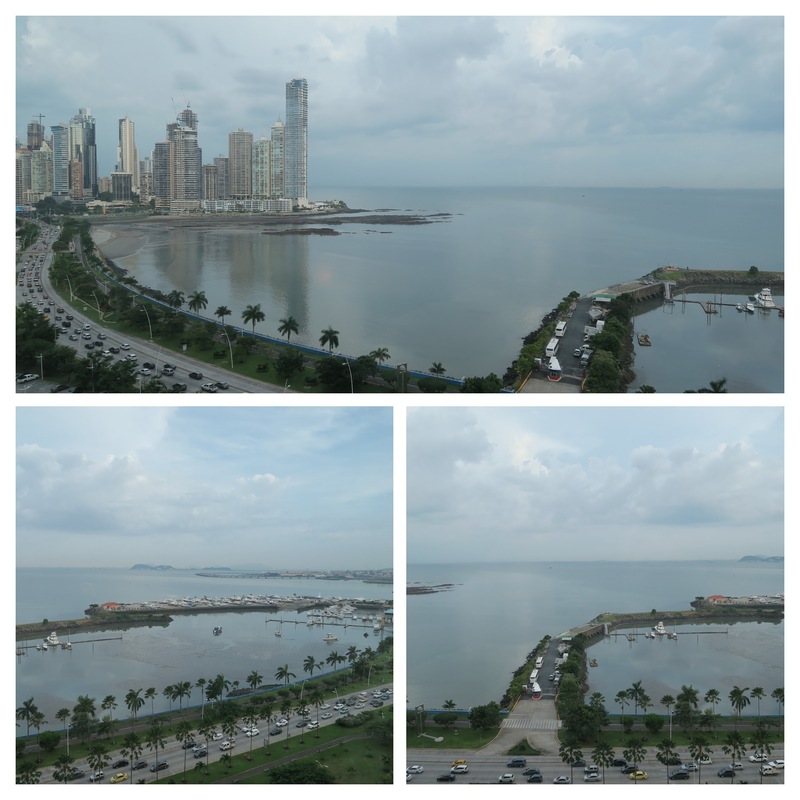 Tomorrow is the Panama event, which is fourth event in this five event tour for me. See you there! Checking Google maps said it would take between 20-60 minutes to get to the event from the hotel, and it was somewhere in the middle of that, so we arrived about 30 minutes early. 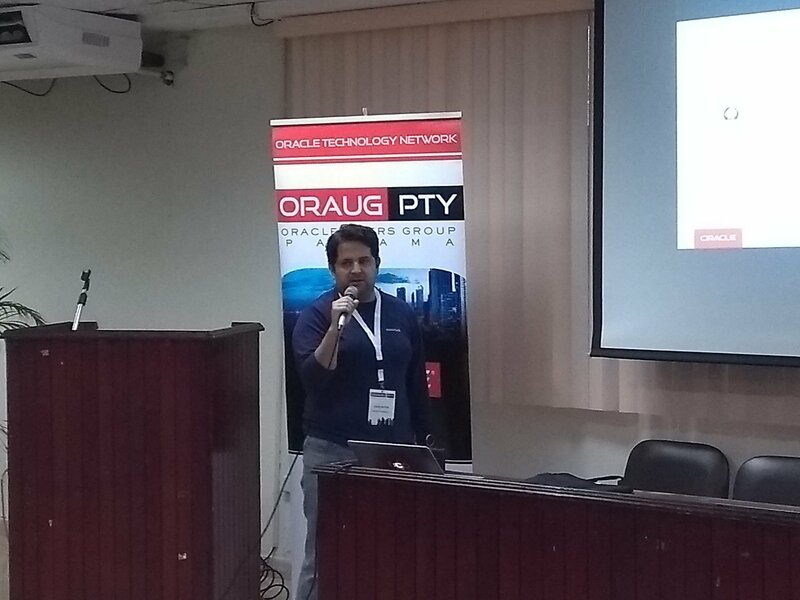 After a few hellos to old friends, an introduction to the event, and Pablo with his introduction to the Oracle Developer Community, it was time for the event to start. This was a seven track event, with five speaker blocks in each track, of which I was presenting in three blocks, so I didn’t see much of the other speaker sessions. Then it was back to me with DBA Does Docker. In addition to all usual stuff you would expect from an introduction to Docker, I also did some demos. I think it’s the demos that always raise eyebrows, when people see how quick and easy it is to do stuff in Docker. There are of course some gotchas, especially where running databases are concerned. After lunch it was me again with Make the RDBMS relevant again with RESTful web services and JSON. As I’ve been saying for years, if you use the database in a legacy way, people are going to think of it as legacy. I was doing this type of session a decade ago, but talking about XML web services from the database. Now it’s JSON and RESTful web services, but the message is still the same. Give developers access to your stuff in a way they want to receive it. Don’t force them into your world. From there I went to see my son Gerald Venzl again, this time with “Dockerizing Oracle Database”. Once again, this was to see how much our sessions overlapped, and quite surprisingly, not that much, which was good. The day went really quick for me, as I was presenting for a lot of it. 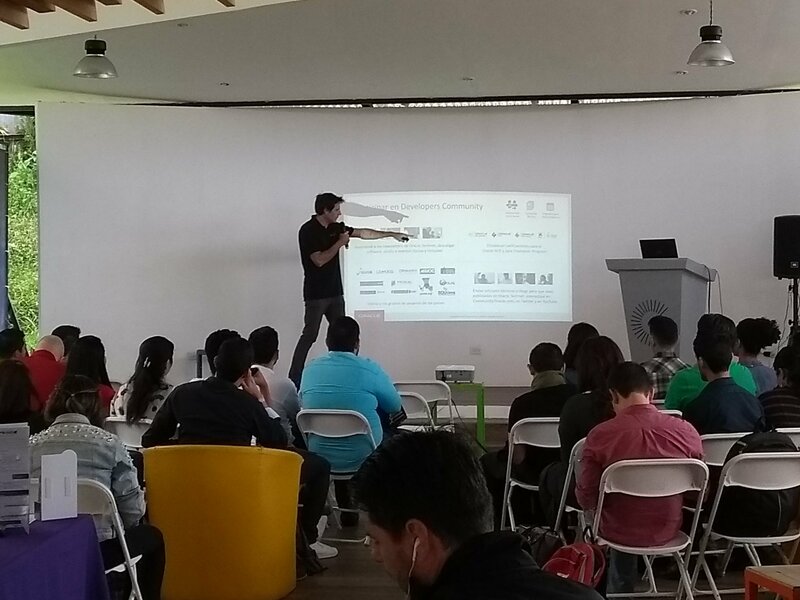 Thanks very much to everyone on San José for putting this event together and of course to the attendees for coming along to support the event. Having some of the conference outside is a nice touch and the weather was perfect. I hope to see you again soon! OK, that was putting it a little dramatically. In the morning I had to go out to get some cash and soft drinks. On the way down the power cut off in the elevator and the lights went out. Fortunately the power came on within a minute, so I wasn’t forced to eat the lady who was in the elevator with me… After the event I tweeted this. Actually, the day went pretty well. Since Barranquilla airport has a lot of building work going on I decided to leave the hotel a little later than I normally would. There were a couple of slow bits of traffic that made me think I might have made a mistake, but I got there in time, so it wasn’t a problem. As it turned out the departures section of the airport was in pretty good shape compared to arrivals. The queue for bag drop was in a big temporary hanger, which was super hot, but once I got through that it was fine. When I got to my gate I bumped into Mercedes Wyss and Pablo Sainz who were on the same flight as me to Bogota. I would guess it took us a little over an hour to get from Barranquilla to Bogota. Once there we left domestic and moved through to international security. At that point Pablo left for a flight to Mexico and Mercedes and myself went to our boarding gate for the flight to San José. 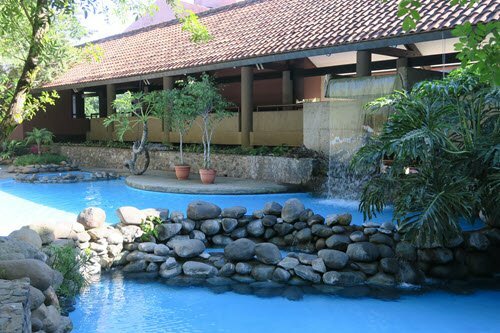 When we landed at San José we quickly moved through security, got our bags and got a taxi to the hotel. I was reading a thread on Twitter yesterday and at it’s heart was a criticism of technology evangelist programs. Any evangelism program is part of the marketing budget, and ultimately there has to be a return on investment* for the company funding it. If that is a surprise to you, you must be really naive. What does that mean for people wanting to be part of such a program? 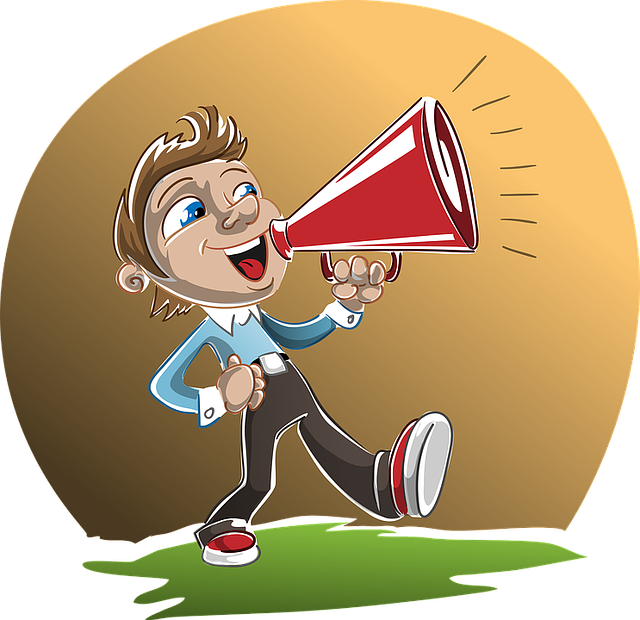 You will only get selected for the program, and remain on it, if your content and opinions mostly fall in line with the message being pushed by the company sponsoring the program. Go to work for a competitor, or start saying too many negative things about the sponsoring company and you will probably be asked to leave. If your interests are too broad, you may not be a suitable candidate for any particular technology evangelism program, or you may feel constrained by them. That’s fine. It doesn’t mean you are bad, or the evangelism programs are bad. There just isn’t a good connection between the two of you. After the introductions, it was time for my first session on Cool New Features for Developers in 18c and 12c. I was the only English speaker on the agenda, so Ricardo Gonzalez became my translator for the day. I’ve worked with live translation before, but I had never worked using tag-team translation, where I say a couple of sentences, then the translator repeats them. It made me a little nervous at first, but it worked well and was really fun. 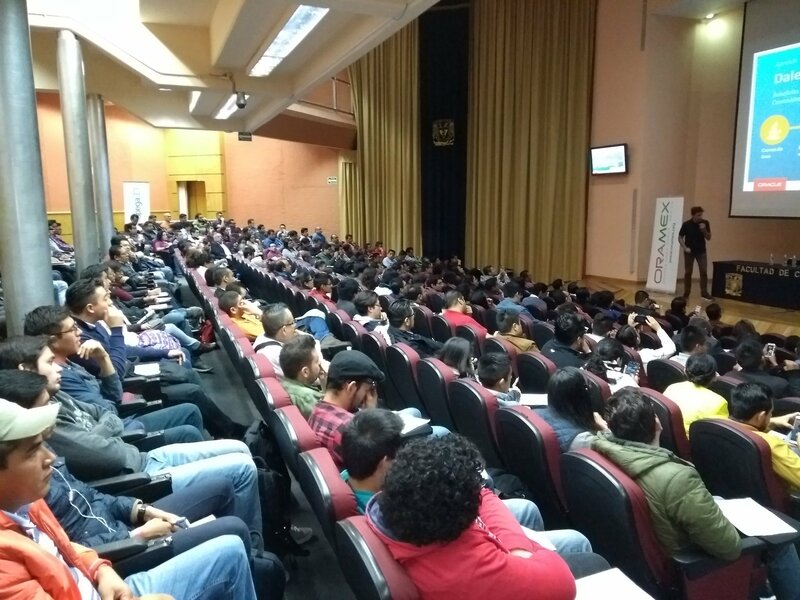 The audience was made up of professional people and students, and Ricardo did a great job of adding a little extra context for the students, so they didn’t get left behind. I had to present a lot less information, but I don’t think that matters too much. These events are about the audience connection and sowing seeds in people’s minds about the functionality. All sessions apart from mine were in Spanish, so I popped into most of them to take pictures. During the breaks between sessions I spoke to a number of the attendees, answering a combination of technical questions and more general questions about development and technology. 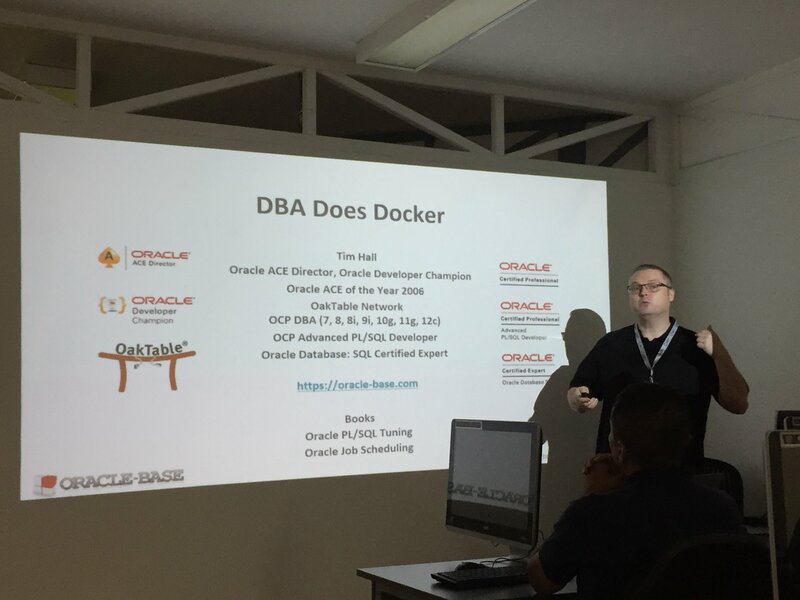 After lunch it was my second session called DBA Does Docker. Ricardo was my translator again. I feel like the session went well, and I hope everyone enjoyed it as much as me. After a few goodbyes it was an Uber back to the hotel to drop off our stuff, then out to get some food. We went to a place called La Cueva, where we had great food and live Cuban music. I was really tired by the time we got back to the hotel, but it was a really good night out. 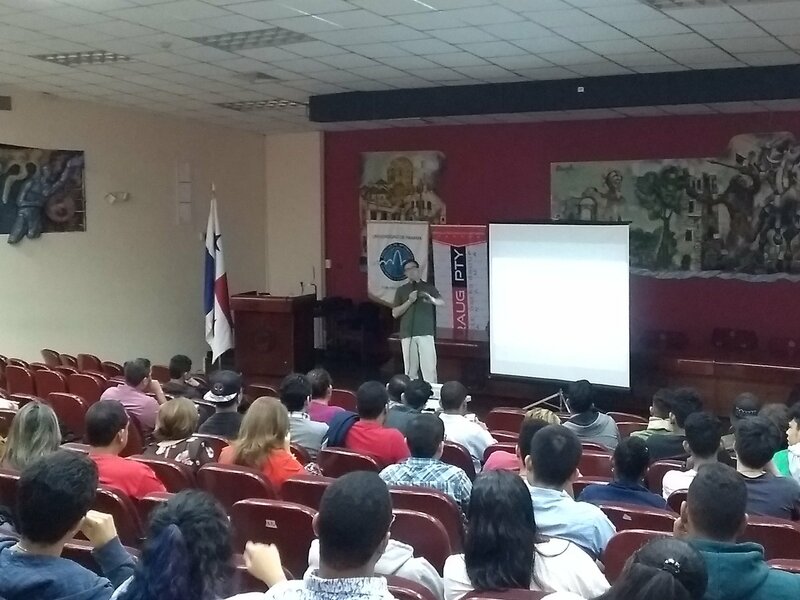 Thanks everyone in Colombia for inviting me and making me so welcome. Hopefully I’ll see you again soon. Thanks to all the other speaker for looking after me too.